On Tuesday evening, a Special Meeting of the Board of Trustees was conducted at the Dublin District office. The purpose of the meeting was two-fold. When long-time DUSD Trustee David Haubert was elected to the Dublin City Council in the November election, it created a vacancy on the Board and thus prompted a potential reshuffling of the executive positions. At the school board meeting on November 11, a definitive result could not be accomplished as there were four members voting and a tie was achieved. At this recent meeting, the Board unanimously motioned, voted and re-elected Greg Tomlinson as President and Sean Kenney as Vice President. 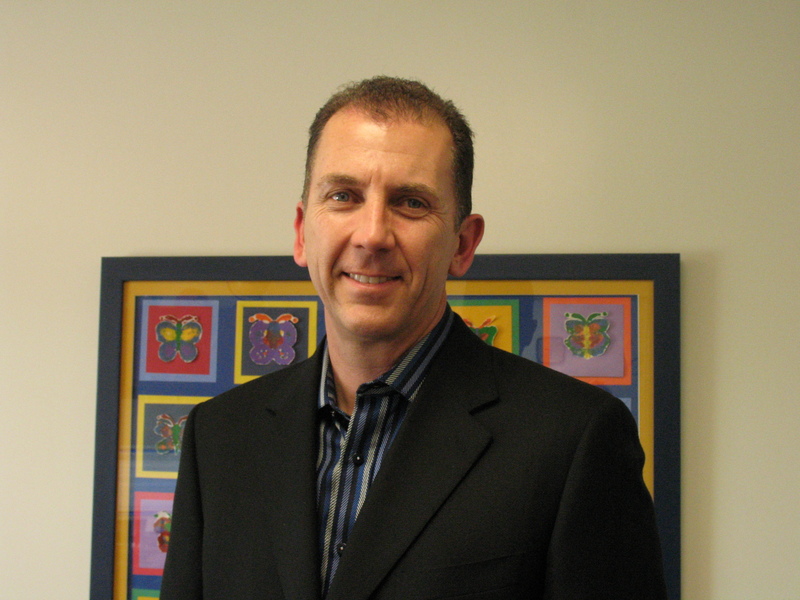 In early February, OneDublin.org had the opportunity to sit down with Board President Greg Tomlinson to discuss his visions for the Dublin Unified School District. In addition to talking about the concept of Professional Learning Communities (PLC), Mr. Tomlinson also stated that “I’d like to see a continuation of the upgrading for all of our facilities. We need to continue to provide an environment that is conducive to learning.” To that end, it has been evident to most families with school-aged children living in the vicinity of Dublin Ranch that all three existing elementary schools are at or approaching capacity. The continued housing development in the eastern portion of Dublin has applied pressure equally on all three schools to accommodate expanded enrollment. At Kolb Elementary alone, the student population is expected to reach 900 in the next fiscal year and perhaps 1000 students in 2014-15. Clearly, the Board of Trustees and the Facilities Department have made capacity for programs an extremely high priority. In the fall of 2015, a fourth elementary school (referred to as E-4) is slated to open and will subsequently ease the compression on Kolb Elementary. However, given the condition of finances for the State of California, crucial decisions will need to be made in order to facilitate a productive learning environment. The Facilities Department presented various options for the Board of Trustees to contemplate. Options ranged from designing/installing up to 18 portable classrooms at Kolb, Dougherty and Green elementary schools, re-configuring existing spaces into working classrooms and employing available space at Fallon Middle School. None of these options are free. The funding options include, but are not limited to: the final disbursement of funds from Measure C, short-term financing from a Bond Anticipation Note (BAN), revenues generated from Measure E and the anticipated funding from the successful passage of Measure 39 in the November election. Of the scenarios presented, one included temporarily housing of the new Developmental Kindergarten program at Fallon Middle School. Fallon currently has excess classroom capacity and could serve as a “bridge” until elementary school E-4 is developed. Ultimately most, if not all, elementary sites will have their own developmental kindergarten classrooms. As of this publication, the Board has agreed to pursue the design element of the portable classrooms in east Dublin without a full commitment on a specific number of those to be built. 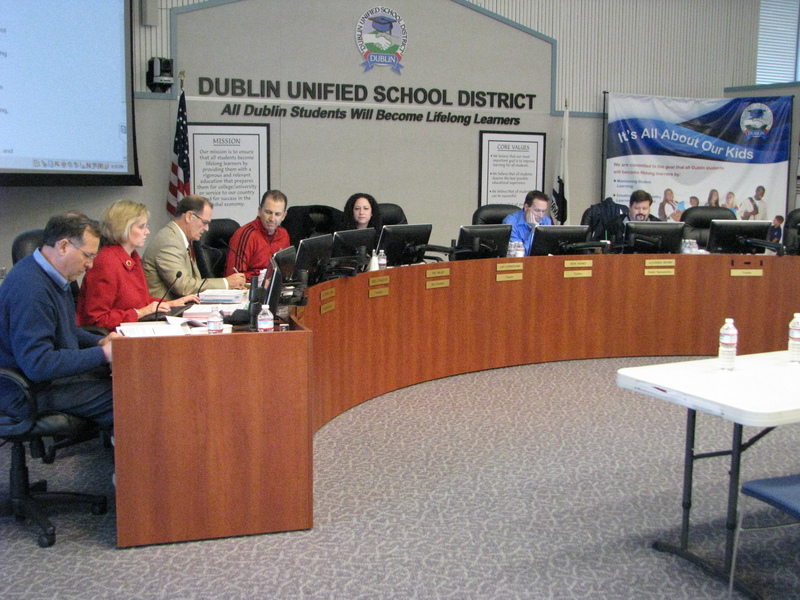 It is just another day of complex decisions for the members of the Board of Trustees and the Dublin Unified School District staff. In many Bay Area communities, school enrollment is declining and citizens are wondering what to do with their existing infrastructure. In Dublin, the opposite is true. School enrollment is swelling. Successful management of this growth is the key challenge for elected officials and the community in the years ahead.